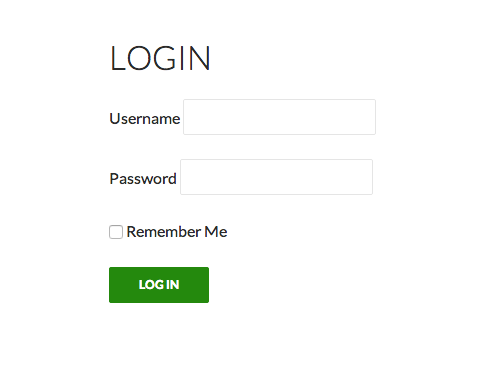 Easy, fast and very helpful Login Boilerplate is a WordPress plugin that allows you to use a custom login form in your themes without having to style the default wp-login.php page. All you need to do is to create a page with proper name, for example – Login, and to make sure that you have chosen this page from Login Boilerplate->Settings. You are all done. Yeah – just like that! Now when you log out you will be redirected to your new login page. There are numerous plugins out there which permit you to alter your login page. Notwithstanding, the upside of utilizing this specific one is that you can easily change your login form. 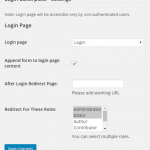 This is one of the best plugins that allow you to customize your login form. It makes outlining your login page a simple and charming background. Why do we purchase a premium theme? Since we do not want our site to look like other sites out there – we need our site to be unique. In the event that that is the situation with premium themes, then why not the login page? Consistent Branding: Which situation is better? demonstrating clients the default WordPress login page or a custom page that fits the site’s color plan, typography, and more? Isn’t it easier to answer? Particularly in case you are building WordPress sites for other individuals, they will beyond any doubt welcome that additional piece of branding a custom login page conveys to the table. Improved Navigation: You can add components to the login page keeping in mind the end goal to give extra value to guests. Think about social symbols, or whatever else you need. Improved User Experience: Login Page customization is about plan as well as incorporate useful changes, for example, programmed redirection after login. This results in better client direction and moves guests along to points of arrival, the landing page, discussions, or wherever you would rather have them. Better Security: Creating a custom WordPress login page can likewise expand your site’s security. For instance, by moving the page to a custom address you can make it harder to discover for hackers. You may ask why might somebody need to tweak their login page? In many websites, guests don’t have to log in to get to content. What about the sites that require login? 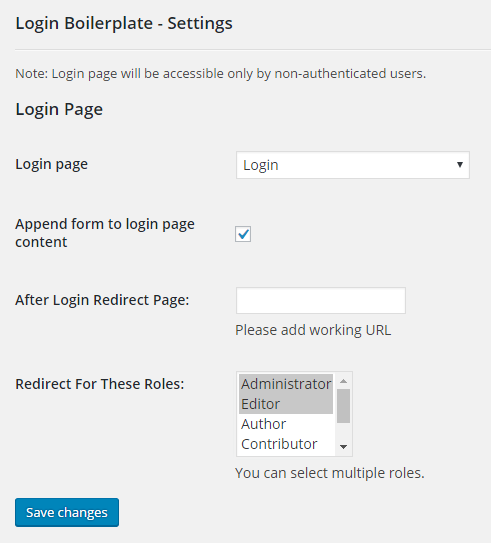 In such a case, WordPress’ default login page is the beginning stage of a membership site. Before somebody can get to the subscriber-only material you offer, they have to first login to your site. when you are in a login area of a recently bought membership site, and you see a similar old login screen that you have found in each different WordPress site – including yours, how does that make you feel? The impact is marginally dampened. That is the reason your business needs a tweaked variant of the WordPress login page that is customized to the look and feel of your business. In case you are building a membership site, a custom login page is totally a must-have for your business. Why Should You Download Login Boilerplate? Why one ought to redo their login page since it is neither going to file in the web search tool being no-followed or not each guest will open it. The reason being professional and the enthusiasm of the Blog owner. 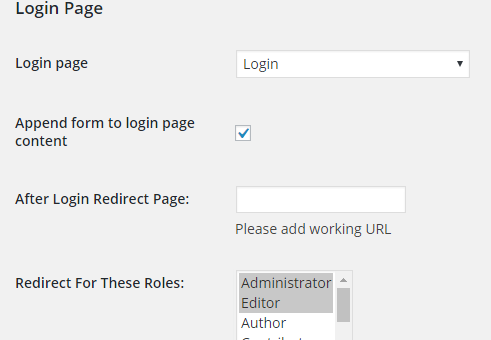 Redoing login page makes your blog look a greater amount of yours. 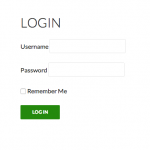 Like you can easily customize your the login form. A large number of the Business WordPress sites having several users must have their marking presentation from this sort of customization. Officially, a significant number of the premium sites based on WordPress have their custom login page. In any case, you can simply redo your login page because of your own interest and liking. Faster Login: The utilization of this plugin will not only allow you to create a login page faster, but also you will enjoy faster login! You can make the subscription or registration process easier and quicker than ever. Unique User Experience: Modifying your login page is one of the best methods for giving a unique user experience. It improves your brand identity, which is urgent for any business to succeed. Adaptability: It offers better adaptability of making login pages. On the off chance that you are hoping to make a login page for your business site, then this may be the correct decision for you. You can watch the video below to know how you can create a login page with this plugin. It’s so simple! 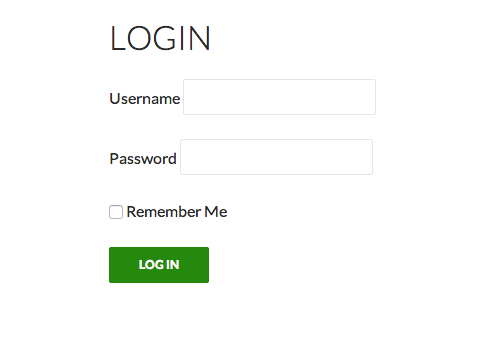 Login Boilerplate makes it simpler than ever to create your own login page. It will not even take more than 2 minutes!